Organized by the James Joyce Centre, Dublin. 12 – 16 June starting at the James Joyce Centre, 35 North Great George’s St.
Join us for one (or all!) of 4 tours of Joyce’s Dublin. Be sure to book ahead: the Bloomsday Walk is €8 per person; all others are €10 per person (€8 concessions). This tour explores the background to Joyce’s ‘Ulysses’ and to Bloom’s thoughts as he crosses the city in search of something to eat in the ‘Lestrygonians’ episode. A humorous contrast of well-fed and under-fed citizens is mixed with a commentary on city buildings, and the presence of police constables reminds us of the realities of Dublin as a colonial city. In these footsteps, food becomes the central issue of social, cultural and political life in Dublin in 1904. The tour starts from the James Joyce Centre and finishes at the National Museum. On our andante dander around the Hibernian metropolis, we take in North Earl Street; the house where Oliver ‘Buck Mulligan’ Gogarty was born; the setting of the ‘Dubliners’ story ‘The Boarding House’; the house in which Sean O’Casey was born; the site of 7 Eccles Street, home of Leopold & Molly Bloom; and Belvedere College, which Joyce attended in the 1890s. The tour starts from and returns to the James Joyce Centre. Join our guide on a ramble through the city of Joyce’s first and most accessible work, ‘Dubliners’. Completed in 1907, ‘Dubliners’ skilfully treats both turn-of-the-century Dublin and Joyce’s surroundings in continental Europe where the stories were written. The tour examines Joyce’s life in Dublin and the Dublin he created in his stories, as well as looking at how the city has commemorated its famous son. Joyce’s Dublin was a city of politics and intrigue, of religious devotion and disaffection, as well as a city in which the pressures and ties of family and society were never far off. The tour starts from the James Joyce Centre and finishes near Trinity College. This special Bloomsday walk features some of the most important Northside locations from Joyce's ‘Ulysses’. Our hour-long wander will take in Belvedere College, Eccles Street, Leopold and Molly Bloom’s residence, and a variety of key locations along Parnell Square and O'Connell Street. Saturday & Sunday 12-13 June, 7pm in the James Joyce Centre. Jimmy Joyced! looks back at 1904 through the eyes of JJ Staines, a stallholder in Dublin's Rathmines Market with a dangerous obsession for all things Joycean. JJ drives like a man possessed through the full gamut of 1904 James Joyce: his battles with his mad dad; his bronze medal win for singing in the Feis; a crazed night of gunfire in the Sandycove Tower; his rescue from redlight Monto mayhem by the man who became Bloom; and above all his passion for Nora Barnacle and their fabled walk on 16th June. Donal O'Kelly is an actor and playwright. He has performed 'Jimmy Joyced!' all over Ireland since its première in 2004, and in Los Angeles, Paris, Porto, Lisbon and Trieste for the Trieste Joyce School. His previous solo plays include the award-winning 'Catalpa' and 'Bat The Father Rabbit The Son'. 'Jimmy Joyced! was nominated for a Best Actor award in the Irish Times/ESB Irish Theatre Awards. 'Everything about this tantalising performance is memorable … nothing short of 'genius inspired by genius' says RTE GUIDE & 'A truly worthy theatrical celebration of the centenary of Ulysses … 'Roller-coaster' has been a term applied to Donal O'Kelly's acting in the past; it's true again with this great kaleidoscope of word power, energy and insight' says SUNDAY INDEPENDENT. Tickets €20; limited seating, booking strongly recommended. Sunday 13 June, 2pm at the Dublin Writer’s Museum, 19 Parnell Square North. Come along for a titillating exploration of music in Ulysses. Barry McGovern is a great Joyce enthusiast, prolific actor and native Dubliner. He is world-renowned as an interpreter of Samuel Beckett, has been a member of the Abbey Theatre Company and the RTÉ Players, and holds an honorary doctorate from Trinity College. McGovern joins our Bloomsday Festival for the third year running. 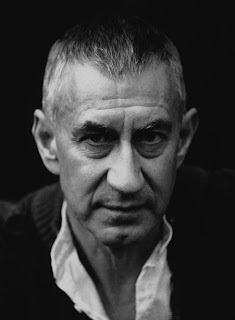 (Also of note: In keeping with his own Bloomsday tradition, Barry McGovern will be atop The Martello Tower in Sandycove on the 16th, where he will read ‘Ithaca’, the penultimate episode of Ulysses). Jump aboard our bus and take a sojourn into Joyce country. Delving deep into Dublin’s suburbs, we’ll explore Joyce’s early formative years alongside the locations that became so central to his fiction. Stops will include Chapelizod village, Dublin’s old Jewish quarter (popularly known as ‘Little Jerusalem’), early family homes at Rathgar and Rathmines, the Martello Tower and museum, Mr. Deasy’s School at Dalkey, and Sandymount Strand. The tour will stop for lunch in the picturesque village of Glasthule. Tickets €28 (includes entrance fees, but not lunch); booking recommended. Call the Joyce Centre: +353 1 878 854. Midway between humour and solemnity, between the most rigorous of disciplines and the most playful of spirits, a society was born with the sole purpose of venerating James Joyce’s Ulysses. And thus its members formed La Orden del Finnegans (“The Order of Finnegans”). 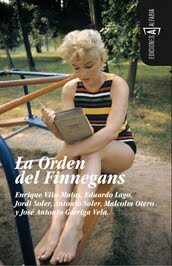 Join us for the launch of La Orden del Finnegans (The Order of the Finnegans) and roundtable discussion with this reknowned Spanish literary collective and special guest. Reception to follow. Free event; booking recommended. Call + 353 1 631 1500. See http://dublin.cervantes.es/FichasCultura/Ficha60904_16_2.htm for more information. Tuesday 15 June, 7.00pm at the James Joyce Centre, 35 North Great George’s St.
market by Penguin Books. 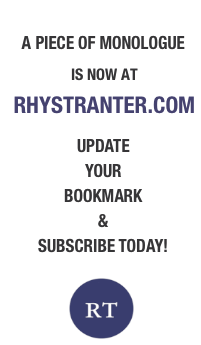 Rose is also editor of the Reader's Edition of ‘Ulysses’ (Picador, London & Lilliput Press, Dublin, both suppressed, revised, and re-issued by Houyhnhnm Press). Copies of Rose’s editions will be available for purchase at the event. 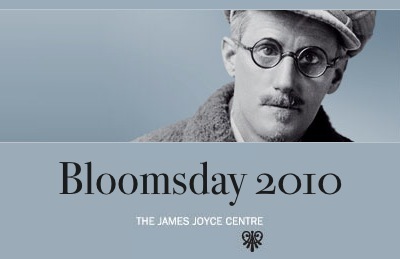 Wednesday 16 June, 8, 9.30, 11am at the James Joyce Centre, 35 North Great George’s St.
Our traditional breakfast is the hallmark of the Joyce Centre’s Bloomsday festival. Partake of a ‘full Irish’ Bloomsday Breakfast at the James Joyce Centre whilst actors entertain with readings from Joyce's ‘Ulysses’. Feel free to come in your own c.1904 costume! Generously sponsored by Dennys. Our Master of Ceremonies hosts a star-studded afternoon of readings and songs from Ulysses. Joyceans of all ages and backgrounds are welcome to join in, so come one, come all, and read your favourite few words from the book of the day! We’ll be treated to music of the era as soprano, Deirdre Masterson, pianist, Dearbhla Brosnan and other guest soloists sing a variety of songs drawn from Ulysses, while Elaine McLoughlin dances a ballet performance of Marble Halls, and at 1pm, Senator David Norris will perform an extract from his one-man Joyce show, ‘Do you see what I’m hearing?’. Free and open to the public, limited seating available, no bookings.